Getting organized is a drag! I bought Microsoft 1Drive a couple of years ago and have 5 TB of storage available so I decided to put all my documents on the 1Drive. It took me a couple of hours to find/move/organize the documents up into 1Drive. I found documents I had been looking for for quite a while! We went to get Sue’s hair cut and I walked to the hardware store, adjacent to the hair salon, and did some shopping. I purchased ew oil for the air compressor and some liquid to put on wood that goes into the ground and keeps the wood from rotting…I think it is copper sulfate! 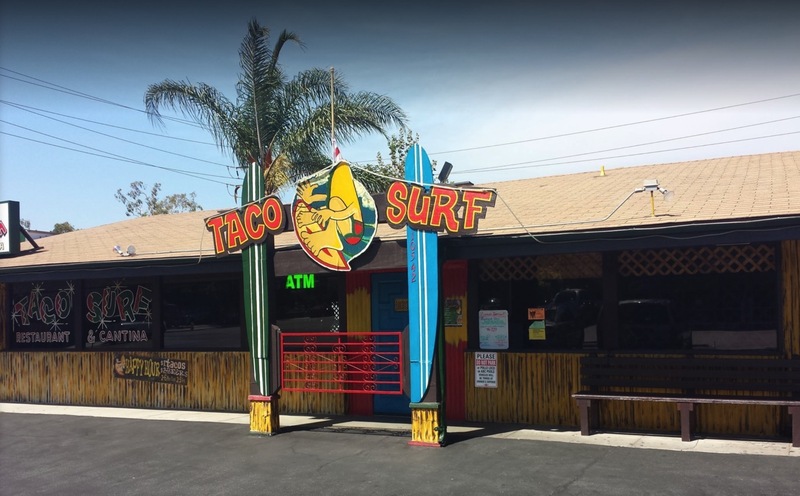 When I went back to get Sue her barber said “She is so pretty, you better take her out to lunch!” The lady was right…Sue is quite beautiful so off we went two doors down to Taco Surf! We is talking some good groceries here! 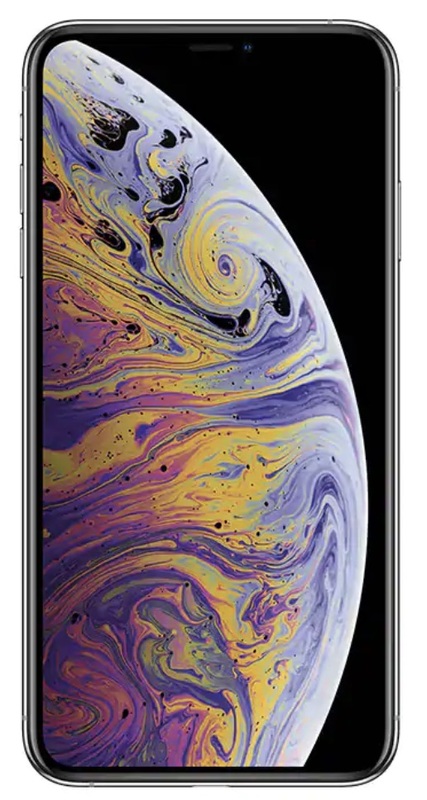 While dining, my ol’ trusty iPhone 6s began acting up again…phooey I thought, I’m too old to fight with this phone so after lunch I went ot Cerritos and spent $1500 on a new iPhone 10Max plus AppleCare plus some little “much needed” goodies! I got a new trackpad, a case for the phone, an adaptor so I can still use my old headphones and something else…I forgot now! I now have 256 GB of iPhone storage…OMG, what the heck will I do with that??? Home again and Sue is still crashed so I was quiet with the new toys until 4:00 PM when I had to take a shower and get ready for dinner with Mitch! I got the Apple store goody bag in the house without her seeing them…no, just kidding, she doesn’t care! We had dinner with Mitch this evening at Old Ranch…it was Italian night so we both added a couple of pounds! He is doing well,,,two hours no drink and no cigarettes…we are so very proud of him! If we needed help, we always thought he would come to the rescue so now we have him back in case. He is a good guys! Now we have Robin, Joe, Michele, Pete, Mitch, Colleen ready willing and able…kinda nice having great kids! Back home we decided Gilmore Girls would be a great way to spend the evening so we watched multiple episodes. Yes…tonight was indeed a “tookie night”! So off t be but alas, my Echo Dot in the garage was playing its little heart away with songs on the 1950’s so, out to the garage I go at 12;30 PM. 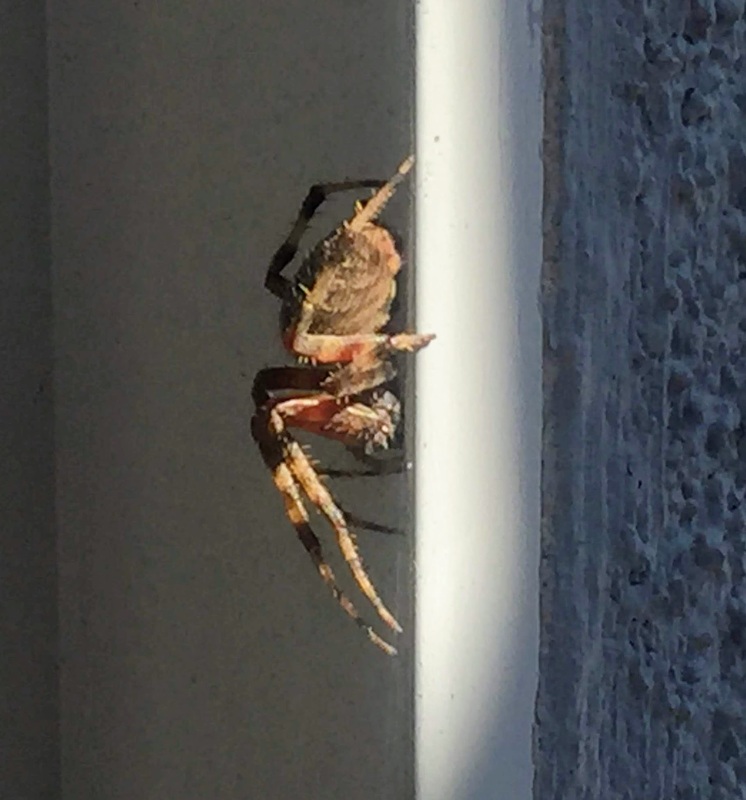 I saw a web and decided to take the camera and to my surprise, Mr. Spider was busy as can be! When I broke the bottom of the web so I could get under it, he ran tot he house and tried to hide. The derned thing was about 3/4 ” long and had fangs needle sharp ready to bite little ol’ me…I got out of his way pronto! I “fought” getting the new iPhone whipped into shape which means re-establishing passwords and Blue-Tooth links everywhere but it will be worth it in the long term! I crashed at midnight! This entry was posted in Family, Food and Wine and tagged Dining Out, Family, Old Ranch. Bookmark the permalink.